Although football season is coming up, I didn't want you to think I forgot about America's favorite pastime! Baseball! We are currently in the heart of baseball season. Their regular season runs from early April to early October. Starting in October the playoffs start. The playoff games determine who gets to play in the World Series. Winner of the World Series is crowned champions of Major League Baseball for that year. Then that team parties, hard. "Poppin bottles in the ice, like a blizzard!" 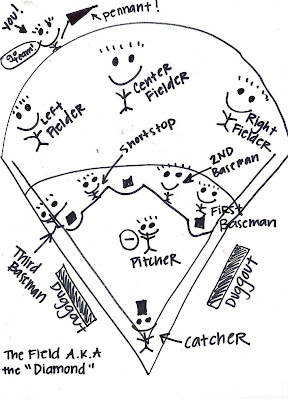 The positions for the defense on the baseball diamond are shown. The people at bat are considered the offense. The people in the field are the defense. I will go over each of these positions in detail in their own post. Here are your defensive positions in case you cant read it! There are 9 people on defense at all times. 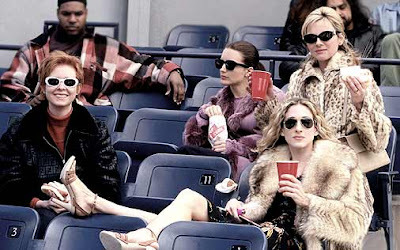 Then there is you, in the stands cheering for your favorite team with some peanuts and cracker jacks. ...And this will be you after!! 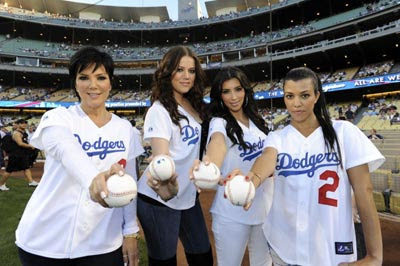 The Kardashian Fam! Love them! Just make sure if you have a baseball game to attend in the near future, you have a super cute jersey packed and you are looking the part!